Your cultural itinerary includes sights like Historic Center (Centro Historico) and Metropolitan Cathedral (Catedral Metropolitana). Shop till you drop at Coyoacan and Avenida Presidente Masaryk. Explore Mexico City's surroundings by going to Cuernavaca (Robert Brady Museum & Archaeological Zone of Xochicalco) and Zona Arqueologica Teotihuacan (in San Juan Teotihuacan). The adventure continues: examine the collection at National Museum of Anthropology (Museo Nacional de Antropologia), delve into the distant past at Museo del Templo Mayor, wander the streets of San Angel, and appreciate the extensive heritage of Zocalo. 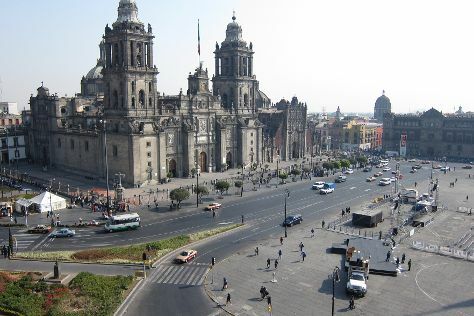 To see ratings, traveler tips, and tourist information, read Mexico City online travel planner . In June, daily temperatures in Mexico City can reach 28°C, while at night they dip to 16°C. Finish your sightseeing early on the 15th (Fri) so you can travel back home.